I feel so privileged to have my hair skillfully crafted by Benly for more than 10 years. Never will I have to worry about having a bad hair cut or fuss over which hair style suits me cos Benly does it best. Her service attitude and flair for hair design impressed me from day one when she used to work at Le Salon Bis. And she keeps improving over the years. Every woman needs a great hair stylist and I'm so grateful to have found her. That explains all the compliments I receive after every hair cut. And if you're asking who did my hair?It's gotta be Benly from Zona Felice. I was introduced to Zona Felice three years ago through a friend and have been a loyal customer ever since. Even my boyfriend, who had patronised only barber shops, is now a regular! Talented, friendly and helpful, my hair stylist Dyllis and the rest of the team go out of their way to make every experience a fantastic one. They are so committed to the well-being of their customers that they'll even offer to place a towel over female clients who are in skirts during shampooing sessions. I've decided to bring my future children there after witnessing them work their magic on many mischievous tykes. Thank you once again for taking care of me and my loved ones. While people go through thick and thin together, Benly and I have gone through long and short! She's been my stylist for the past seven years and I couldn't imagine anyone else working on my hair. For me, the relationship between stylist and client is one built on trust and mutual understanding… and that's something I treasure with her. The team is professional and constantly keeping up to date with the latest trends, colours and techniques. However, they've never pushed anything I don't want upon me. When Benly and Cindy set up Zona Felice, they wanted to create not only a place where you can go to for great hair, but a place where you go to be happy. And I must say that five years on, they have achieved this. It is indeed a place where people walk in to get their hair done as well as catch up with old friends; and they walk out looking great and feeling confident and happy! A loyal customer since 2003, I swear by Cindy and her team. Talented and versatile, they never fail to create a hairstyle that suits me to a T, every time.Even more impressive is the ethical and professional mode which they operate in. Unlike other salons, hair treatments are never more than absolutely necessary, and hair products are recommended only upon request and according to their understanding of clients' specific hair types. I've since recommended many of my friends and colleagues who had in turn become loyal customers themselves. What more can I say? 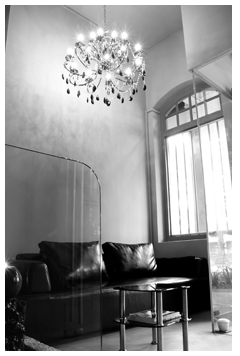 Chic ambience, creative stylists, friendly and helpful staff - there's no other salon like it. After a bad hair cut that completely wrecked my look two years ago, I turned to Zona Felice as a last bid to salvage the situation. To my pleasant surprise, Dyllis, who was the hairstylist, not only managed to resuscitate my hair but gave it a complete new lease of life. Now, it is the only salon I trust my hair to. I've never regretted my decision and so did my friends. Keep up with the good job guys! I love having my hair styled at Zona Felice as the friendly and talented team always has the latest styles at its fingertips, and above all, does wonders to my look. Zona Felice is the only salon that does my hair in under 45 minutes and still makes me look like a million bucks. What can I say? Jeffery and his team simply work magic! I love the salon's cosy atmosphere, quality service and friendly staff. They never fail to make me feel completely at home. Other than the great haircuts, I'm especially fond of their superb hair wash and head massage services. I recommend that you look no further for that image change you've been dreaming about. The team never fails to make me feel beautiful and refreshed after every visit. Furthermore, their exceptional service, care and attention make up the best salon experience I've ever had. Do keep up with the excellent work! I completely trust my stylist Benly for her professional competency, and the staff are warm and sincere. I normally just walk in, bury myself in magazines, and when all is done, I know I will always be satisfied. I was introduced to Zona Felice Hair Studio at Club Street during my annual visit to Singapore. Zona Felice has the best hair and make-up team with top-notch hair stylists. It is where I will go to to do my hair. I will definitely visit Zona Felice whenever I stop over in Singapore before flying to Hong Kong or Canada.